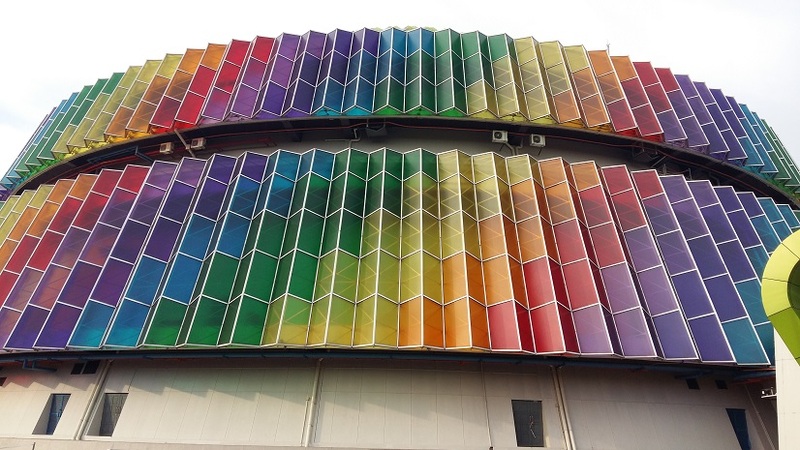 Each time I drive pass the Sprint Highway going towards Desa Hartamas, I would be drawn to rainbow coloured roof of Pusat Sains Negara (National Science Centre) on my right. One weekend, I told myself I am so going to drive past and get a closer look at the building because it just looked so unique. 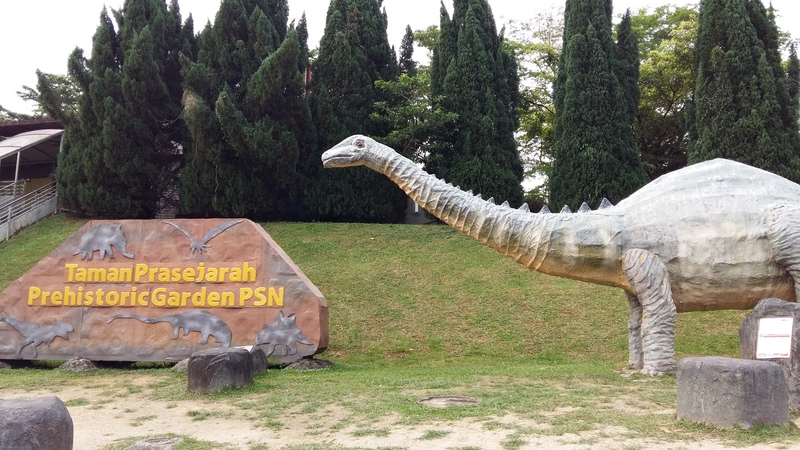 As I turned into the Sprint highway exit with the signboard Pusat Sains Negara, I am first greeted by the Prehistoric Park (Taman Pra Sejarah). 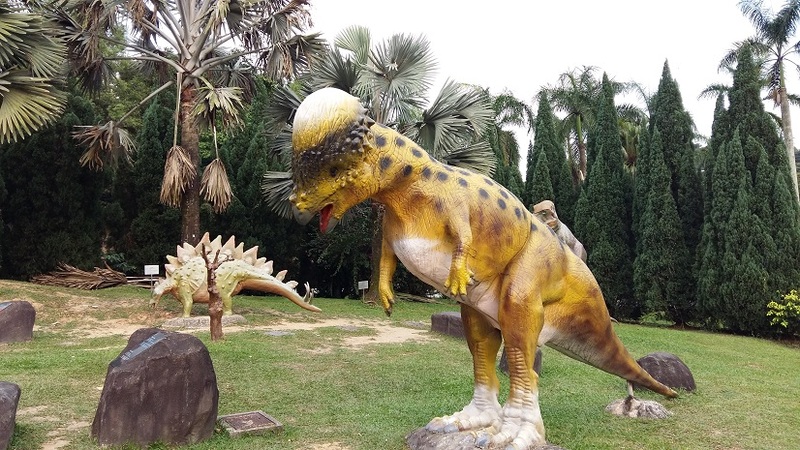 The park is located outside near the entrance to Pusat Sains Negara. I will get to the park later in the article. 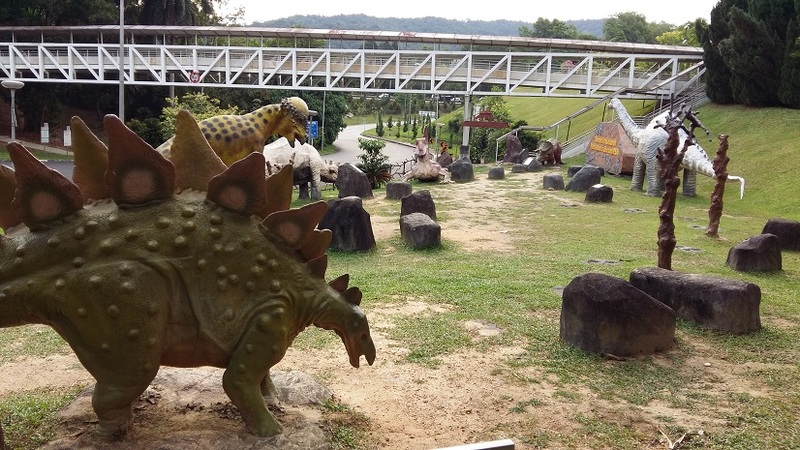 Back to the prehistoric park. 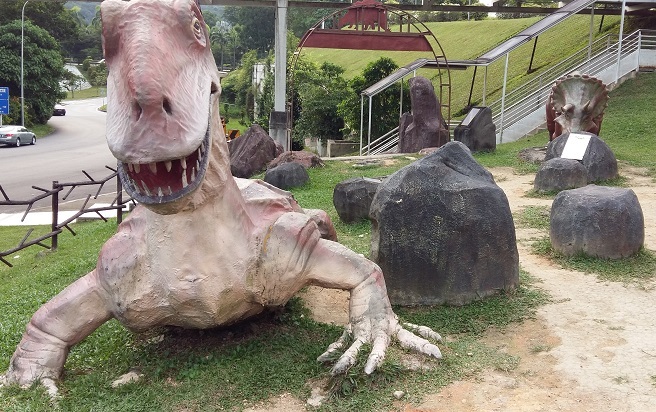 If your kids love dinosaurs, go over there on a weekend evening (after it is not too hot) for your kids to take pictures with the dinosaurs. It is opened to public- because the area is not fenced up. 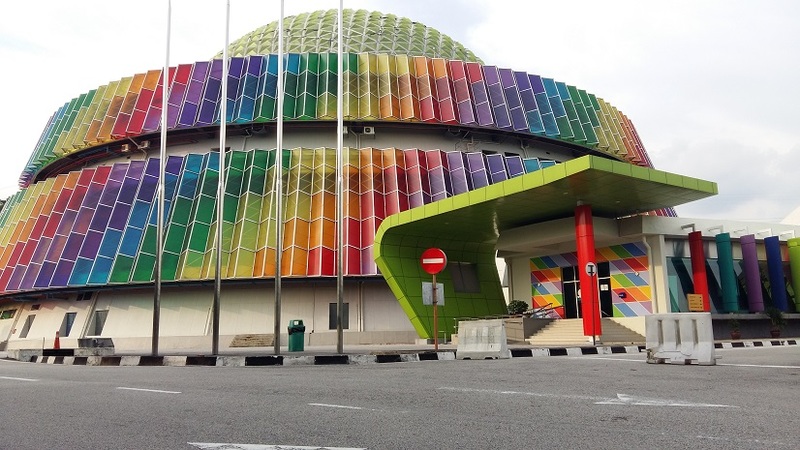 Please don’t park your car at the roadside but instead turn into the Pusat Sains Negara- there are about 4 allocated parking before the entrance (if there is no parking, you can get drop off the passengers at the park while you drive up to find a parking). Saturday to Thursday (9:00 am – 5:00pm). Ticket Counter is closed at 4:30 pm.